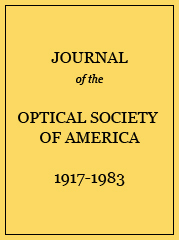 The atomic spectra of Li i and Li ii have been observed in the region 215–160 Å. The flash-pyrolysis technique has been used to produce the atomic vapor. A toroidal focusing mirror has been used which allows the background continuum from the BRV source to be photographed with a single shot. Thirteen lines of the principal series of singly ionized lithium and the continuous absorption at the limit of the series have been observed. Absorption lines from inner-shell excitation of neutral lithium have also been observed and tentatively identified. Lines of Li ii 1s2 1S–1snp 1P0. a Observed also in emission (Ref. 15). Lines of Li i (from ground level 1s22s 2S except where stated). 193.37a 2 (1s2s 3S)7p 2P0 ? 193.18a 2 (1s2s 3S)8p 2P0 ? 193.04a 1 (1s2s 3S)9p 2P0 ? 192.95a 0 (1s2s 3S)10p 2P0 ? 188.99c 1 (1s2p 3P)4s 2P0 ? 170.52 3 (1s3p 1P)3s 2P0 ? 167.77 2 (1s3p 1P)4s 2P0 ? b Observed in emission also by Buchet et al. (Ref. 18). c Theoretical position also by Cooper et al. (Ref. 17).